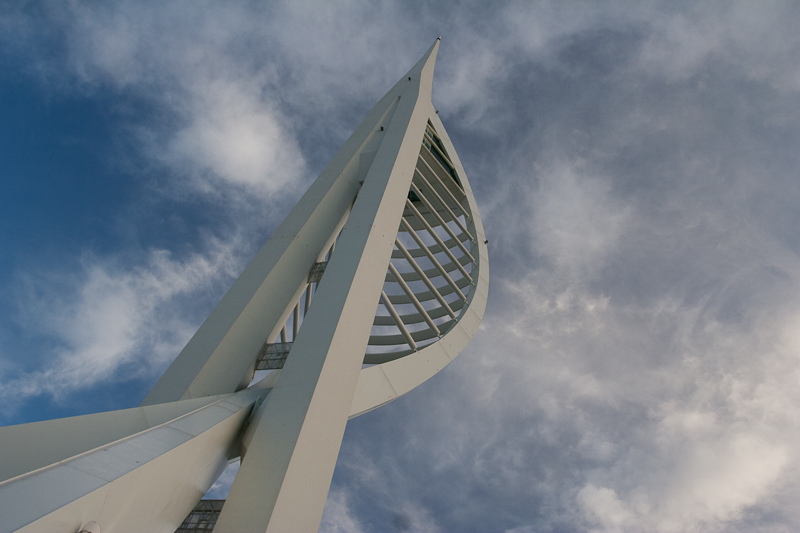 This is the Spinnaker Tower in Portsmouth. I was heading back from the Isle of Wight on Sunday evening and the light was just perfect for a blue sky shot. 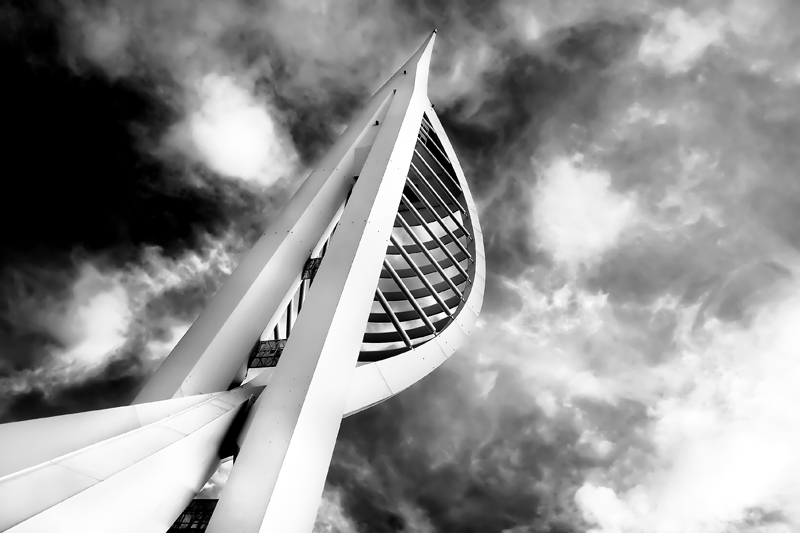 I tinkered with this image for some time tweaking the levels and tones, pulling more blue from the sky and details in clouds, then right at the last minute before saving the image down I decided to try angry black and white. Need I say more. The original, from camera, image is here if you’re interested.